Fudge-y, soft and moist matcha green tea white chocolate blondies! Not too long ago I was trying out a new ramen joint which happened to have a cafe up front and as I was walking out I noticed some green tea brownies that I just could not pass without trying! Green tea is a favourite of mine and often times when I indulge and have a latte, I will go for the green tea latte, so I grabbed a green tea latte and a green tea brownie for an after ramen treat! The green tea brownie was really good but I could not help but thinking that I could make my own, that they would be better, that they would be a lot cheaper and more convenient so I decided to do it! 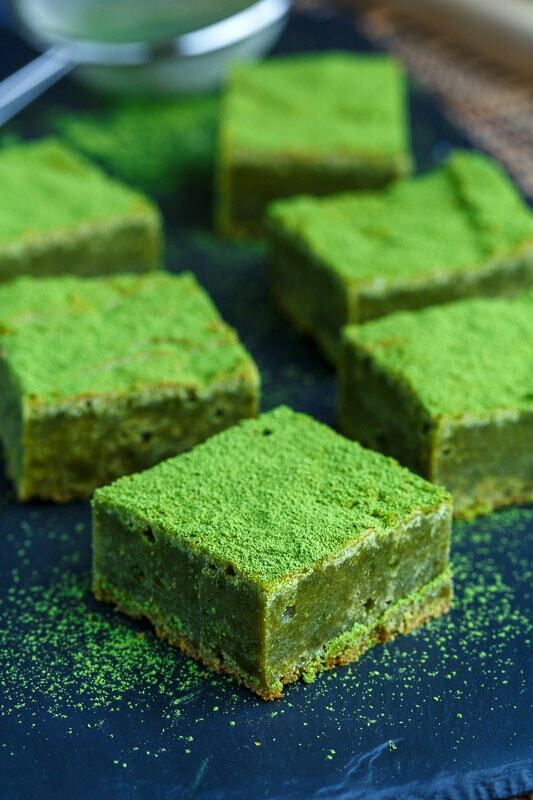 Matcha is a powdered form of green tea and the obvious place to start and since we are talking brownies here, chocolate came to mind and white chocolate and matcha is a fabulous flavour combo so I decided to add melted white chocolate to the batter. I was envisioning a fudge like brownie texture so I went with a basic fudge-y blondie recipe that I knew was super easy to make and I planned on finishing them off with a light dusting of matcha powder! 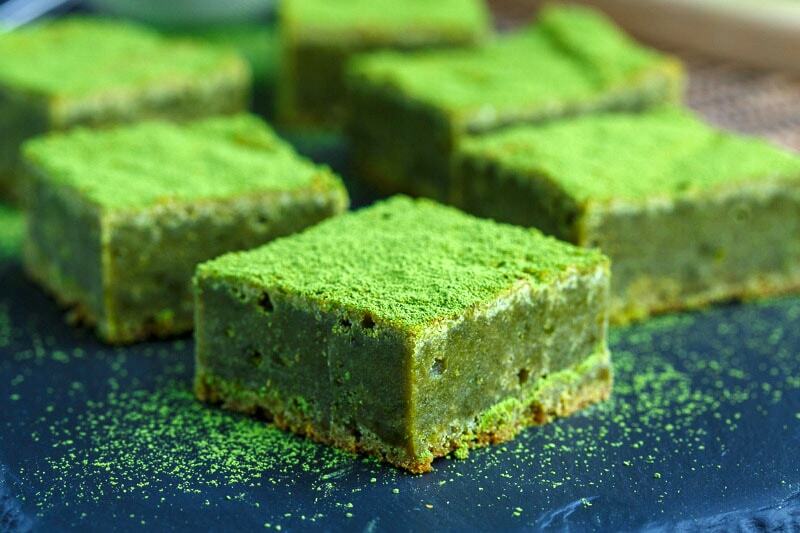 These matcha green tea white chocolate blondies are even better than I dreamed and now I came make them whenever I desire! Melt the chocolate in the microwave (30 seconds at a time) or in a double boiler. Cream the butter and sugars, beat in the eggs, vanilla and salt before mixing in the melted chocolate. 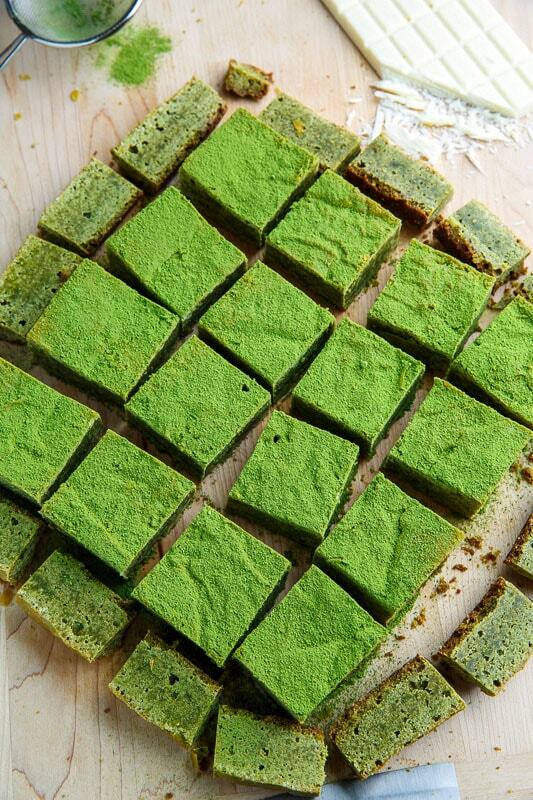 Mix the mixture of flour and matcha into the batter and pour it into a greased, foil lined, 8 inch baking pan. Bake in a preheated 350F/180C oven until a toothpick pushed into the centre comes out mostly clean, about 20 minutes. 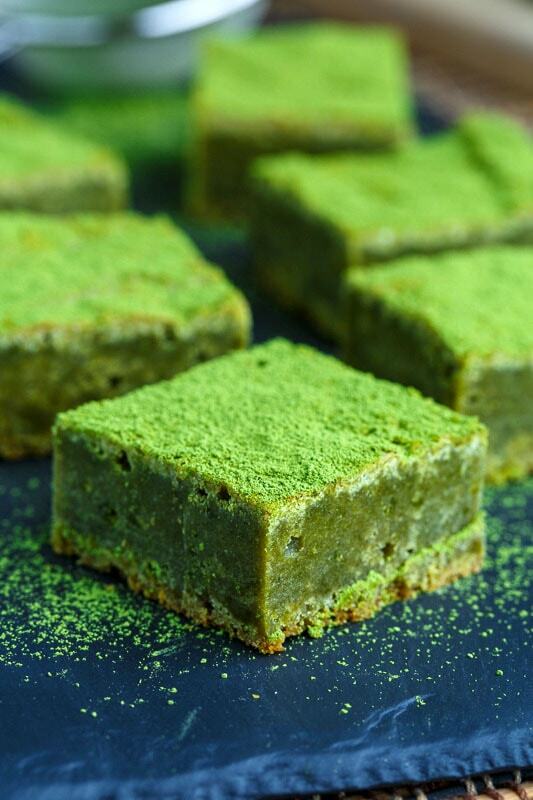 Let cool, slice and dust lightly with matcha powder by placing the powder in a fine mesh sieve and lightly tapping it while holding it over the blondies. 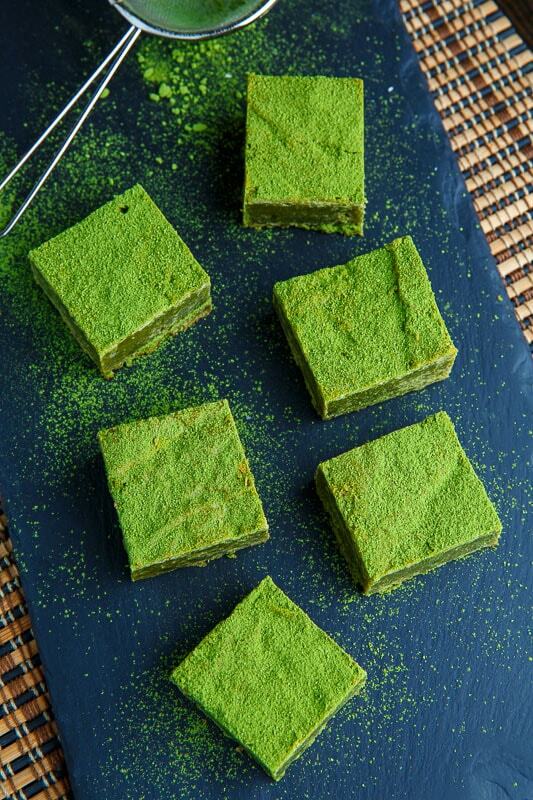 Note: Use cooking grade matcha which is much cheaper than ceremonial matcha and perfect for baking! Option: Add 1 cup white chocolate chips/chunks! Option: Add 1 cup coarsely chopped macadamia nuts! These look delicious! Have you tried substituting some or all of the flour with Mochiko flour? Alissa: I just did! I substituted 1 to one, flour for mochiko (rice flour) and it is amazing!